Do antidepressants work? Of course they do—and everyone knows it. Like his colleagues, Irving Kirsch, a researcher and clinical psychologist, for years referred patients to psychiatrists to have their depression treated with drugs. Eventually, however, Kirsch decided to investigate for himself just how effective the drugs actually were. Surprisingly, over the course of the past fifteen years, Kirsch's research—including a thorough analysis of decades of Food and Drug Administration data—has demonstrated that what everyone knew about antidepressants was wrong. Instead of treating depression with drugs, we've been treating it with suggestion. The drugs themselves were just placebos, the psychiatric equivalent of a sugar pill. 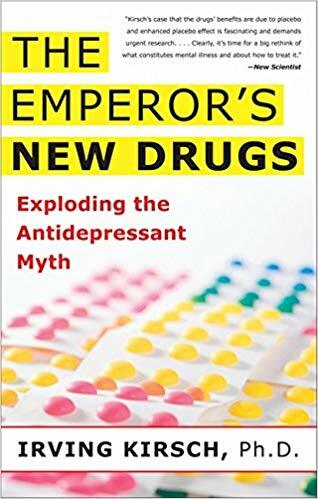 The Emperor's New Drugs makes an overwhelming case that what the medical community had considered a cornerstone of psychiatric treatment is little more than a faulty consensus. But Kirsch does more than just criticize: He offers a path society can follow so that we stop popping pills and start seeking proper treatment for depression.